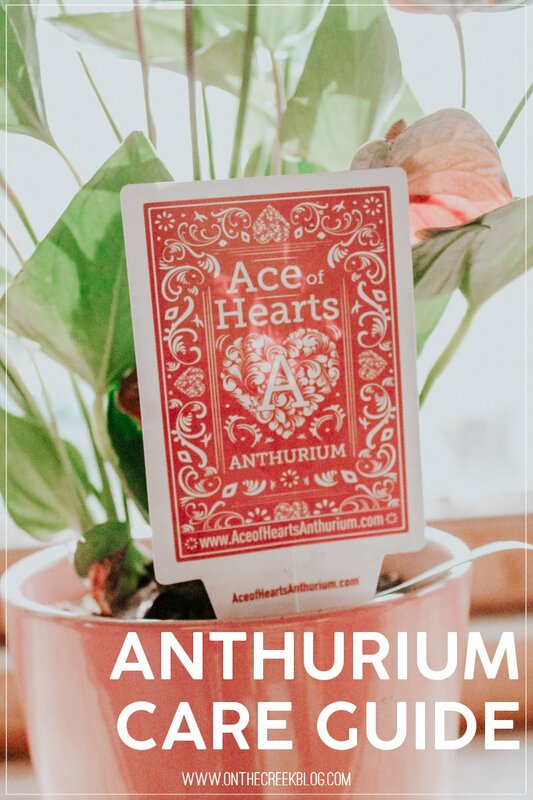 Read on for everything you need to know about the Ace of Hearts Anthurium! I’m not a plant person. At all. Sure, I plant a garden every year & do mums for fall. But houseplants? That’s an entirely different thing. I remember my mom had a ton of houseplants when I was growing up. 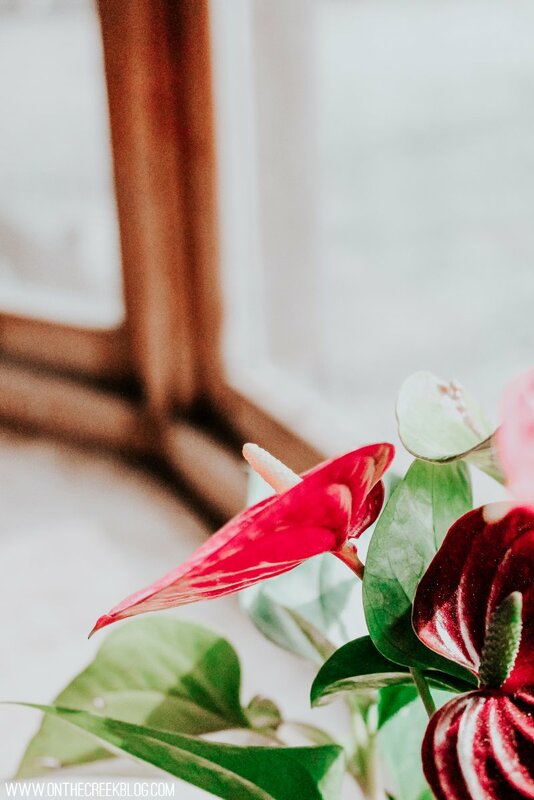 When I became an adult, I realized that even though I loved the idea of a ton of houseplants, they probably weren’t for me. They involved a level of maintenance that I wasn’t sure I was ready to tackle. So, what I’m trying to say is, I ended up with a houseplant! Like most things in my life, it happened on a whim. 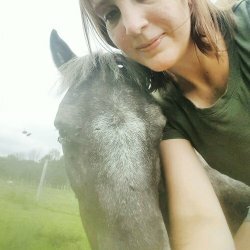 It was a few days after Valentine’s Day when my husband & I were in the Aldi checkout line. 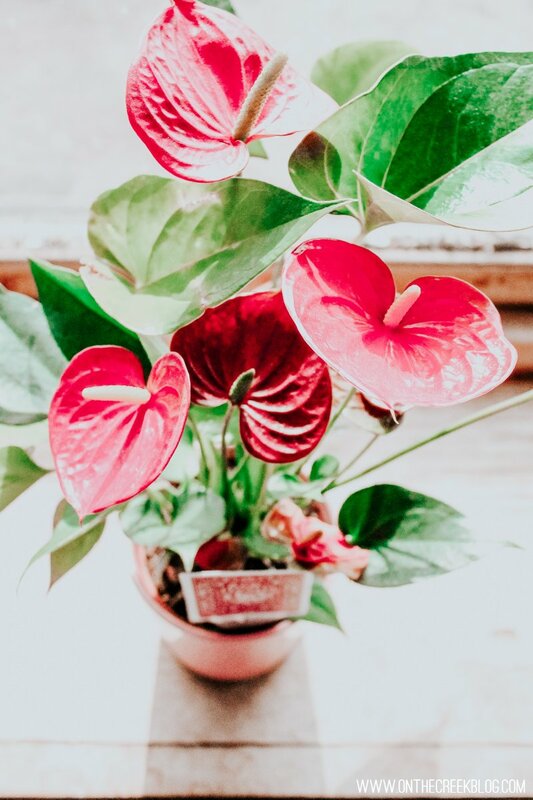 They had some super sad looking cut bouquets left over from Valentine’s & a few of these Ace of Heart’s Anthuriums. 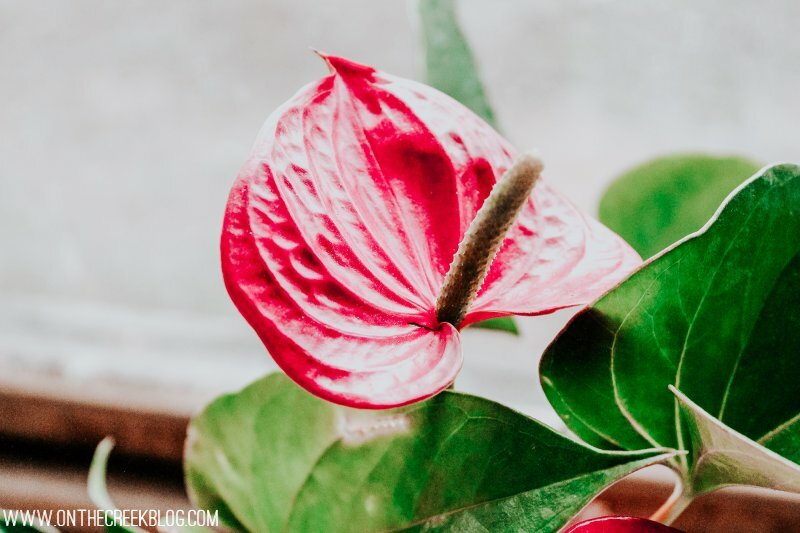 We both thought the anthuriums were super cool looking & mutually decided to give one a try. Also…I should add right now, it’s something spectacular when my husband & I can come to a mutual agreement about something. Whenever we’re both in agreement about something, we have to act on it immediately because it rarely happens! 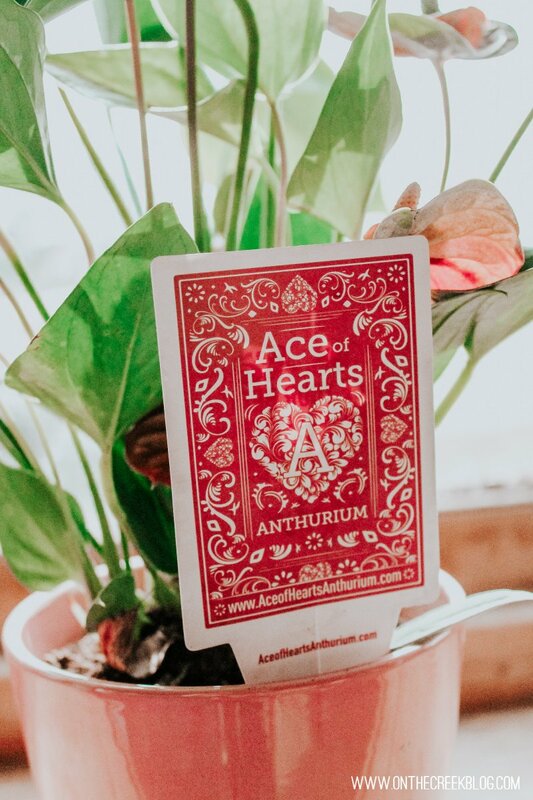 That day in Aldi, the mutual agreeing happened with the Ace of Hearts Anthurium & we ran with it. Even though we had mutual agreement on our side, I really didn’t have high hopes for the plant. Plants are weird sometimes. You can do everything & they’ll still decide to die! But! 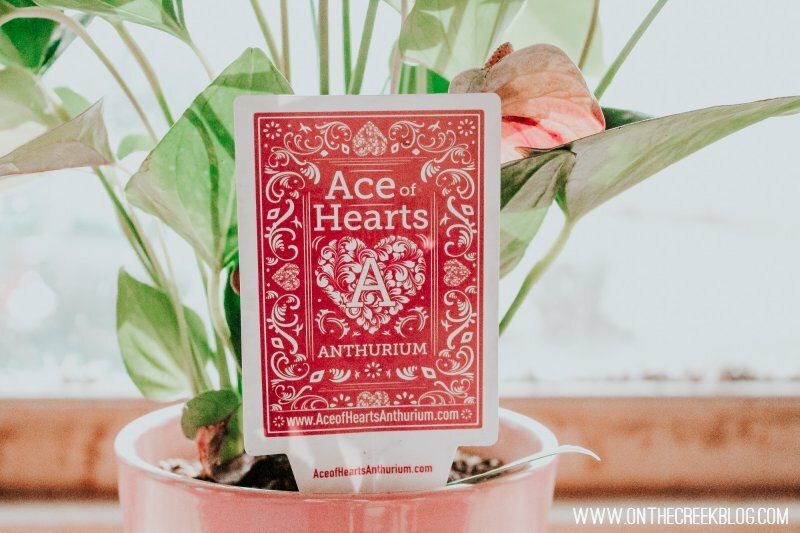 I’m super excited to report that the Ace of Hearts Anthurium is still thriving a month later! The plant is doing so well that I even had to turn to Google for care tips! 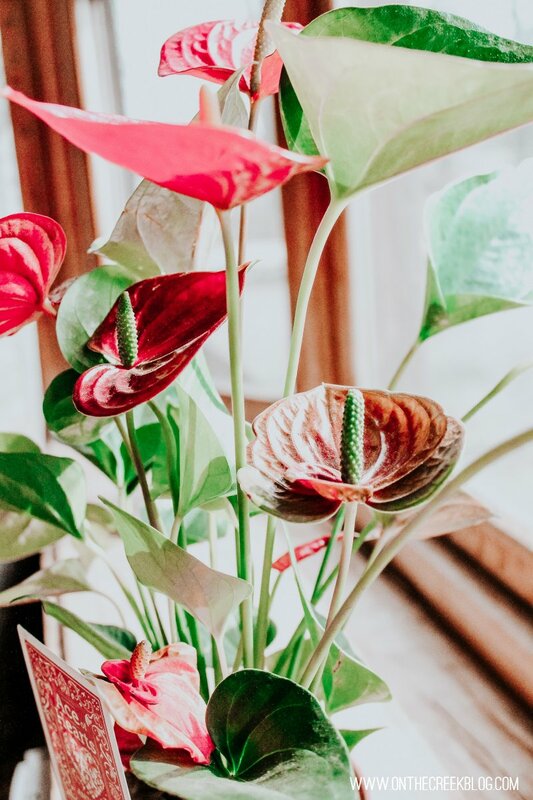 I’m soo not looking forward to repotting it in a few years if that’s what is in the cards for this anthurium! 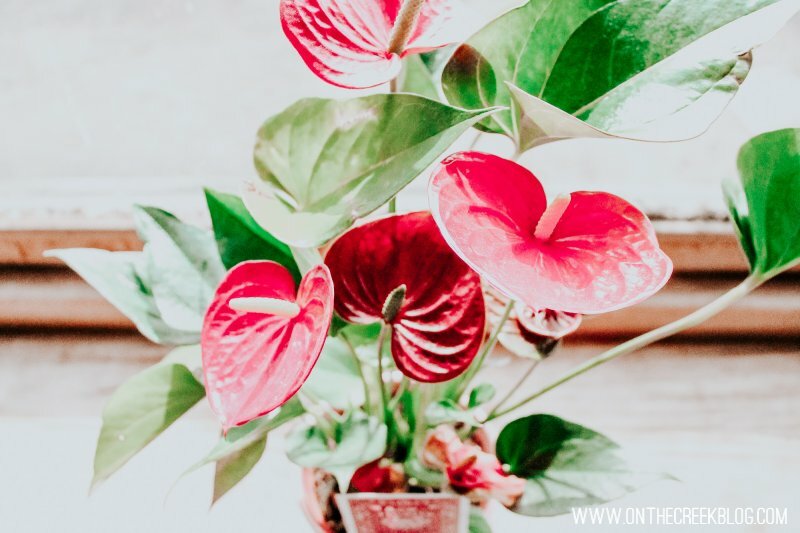 I’m going to leave a few links below in case you have an anthurium or are now inspired to get one! 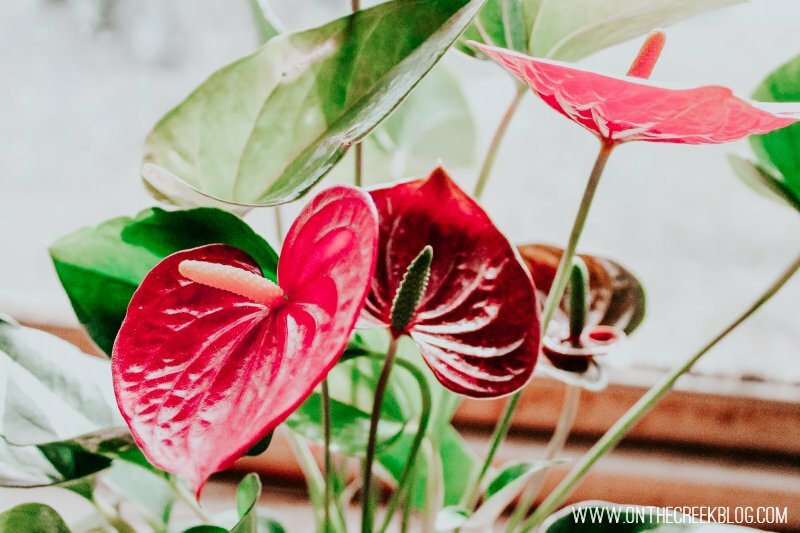 They seem like a fairly mild houseplant that doesn’t really require a lot of maintenance! 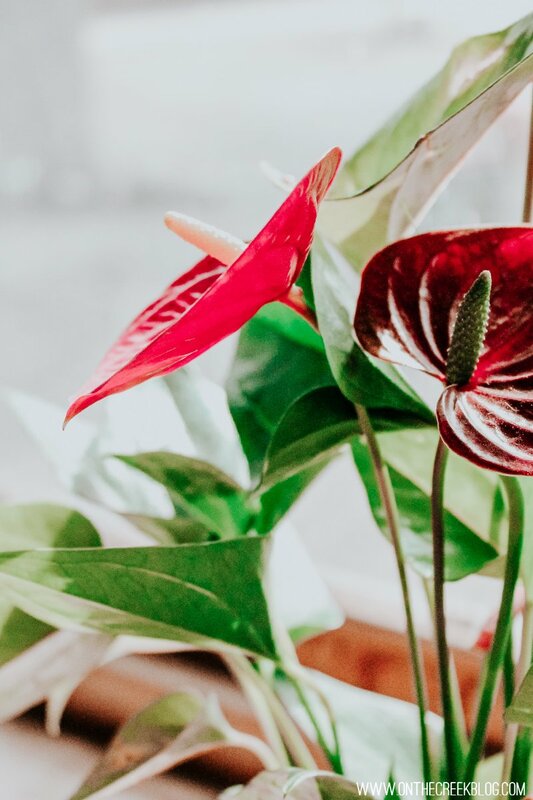 Also, while we’re on the topic of houseplants, I have to know: what are your favorite houseplants? 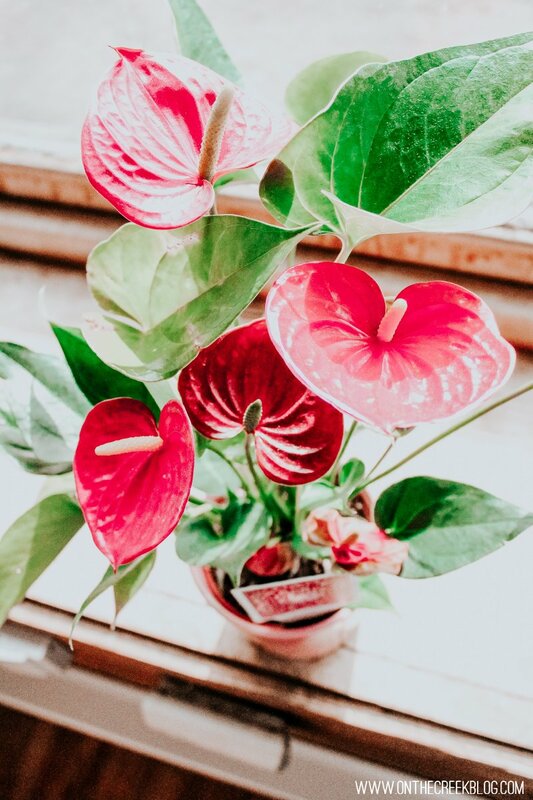 What are the best ones for a novice houseplant person like me?